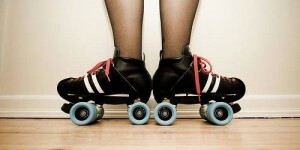 Why Should you Sponsor Badfish Roller Derby? See our sponsors here! 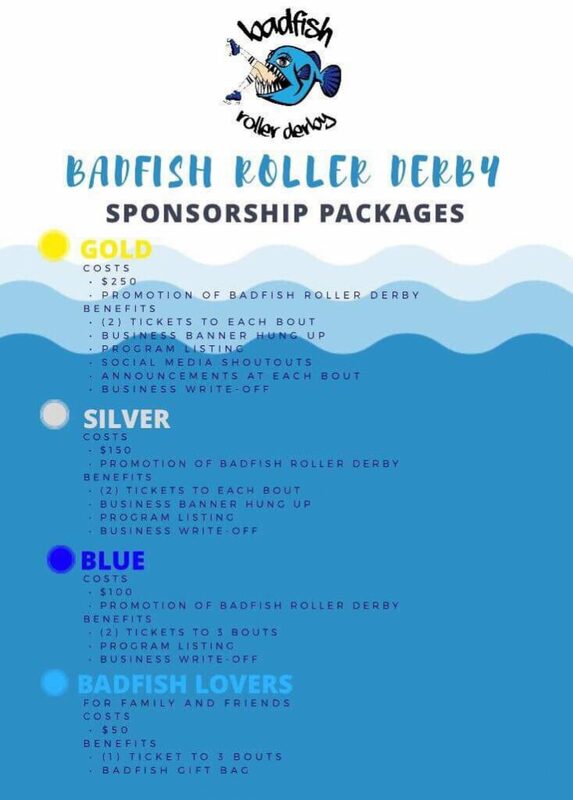 Build Your Brand – Not only will Badfish promote your company through social media shoutouts, but you’ll also be seen and heard at all of our home bouts! Outstanding Value for Dollars Invested – You’ll get so much out of sponsoring our league! You’ll be able to keep your advertisement costs low, but also be able to get a tax break from donating. Expand Your Reach Geographically – Our league plays teams from all over the county! Those teams bring their own fans that you might not have otherwise reached. Help Keep the League’s Costs Low – By being a sponsor, you’ll help keep participation fees lower. With lower costs, our players can continue to play and receive the benefits of playing sports. Build Goodwill – With your sponsorship, you’ll help grow our league and make a positive impression on league members!